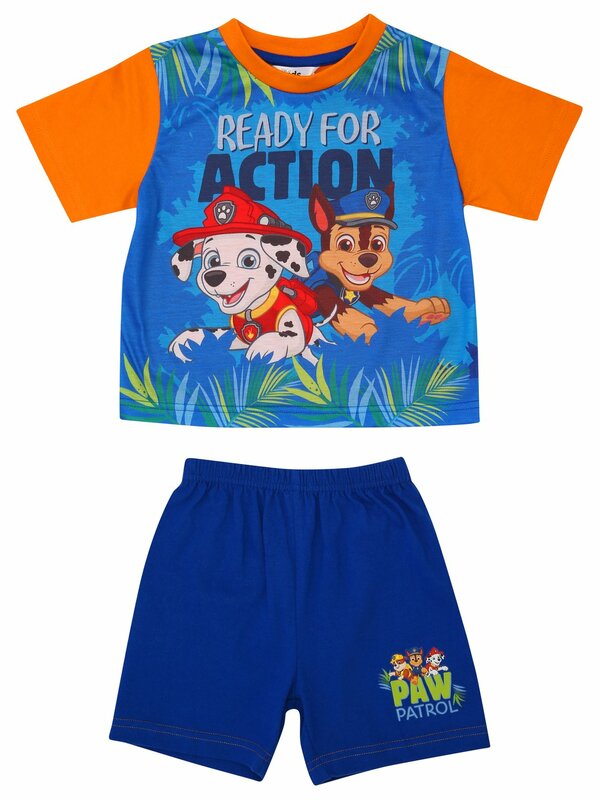 Get little puppers prepped for bed with our Paw Patrol pyjamas. Short sleeved, these cotton pjs showcase a Chase and Marshall print with elasticated shorts and a `Ready for action? slogan.